Great Wolf Lodge Traverse City Review, pics, video, and info for Great Wolf Lodge in Traverse City MI. 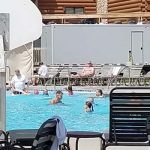 It’s always 84 degrees at The Great Wolf Lodge Traverse City. Explore the giant waterpark, spas for adults and kids, and entertainment for the whole family! 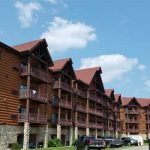 Great Wolf Lodge has many family friendly amenities and activities. 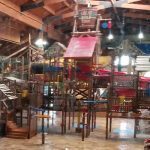 The indoor waterpark includes a family raft ride, a tandem tube ride, a treehouse fort with water slides, small kids areas, hot springs, a “lazy river,” and a pool with basketball nets, floats and more. There is something for all ages. For the warmer months, guests can venture outside to enjoy a pool with a four-foot deep end, interactive water fountain, water basketball, kiddie slide and private cabanas for rental, and outdoor volleyball. 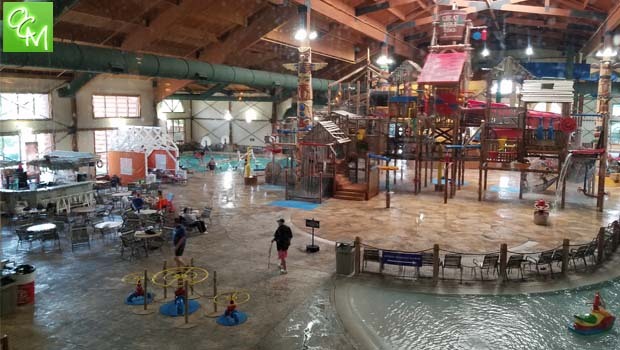 In addition to all the water adventures, Great Wolf Lodge has many other activities. There’s no way your kids will get bored here. 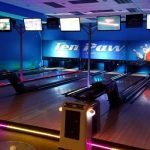 There’s a Putt Putt course with faux sand traps, Ten Paw Alley which is bowling with a smaller ball and shorter lanes… like a mini bowling experience with a one size, kid-friendly ball fits all and no bowling shoes required. If your kids love stuffed animals, they can head to the Creation Station at the Buckhorn Exchange to create their own plush animal and take their pick of outfits, costumes and accessories…and watch it come to life, making for a nice Great Wolf Lodge keepsake. 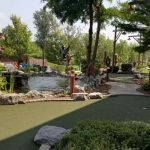 There’s plenty for the more adventurous at Great Wolf Lodge… Eagles Peak rock climbing wall is suitable for all ages and located outside by Putt Putt. Or, they can play hard at the Northern Lights arcade and pick up some prizes at the prize redemption store. 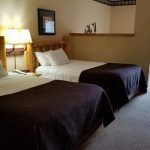 Those with a love for magic and solving puzzles can go through MagiQuest… kids become a Master Magi and walk throughout the lodge with a magic wand to follow clues and solve puzzles to accomplish all of the MagiQuest adventures. Or, they can do Compass Quest… use high tech compasses to unlock nine adventures, unveil maps, and decode secrets in the stars. 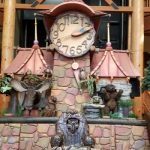 The Great Wolf Lodge Traverse City daily events calendar is jam-packed with fun things to do – every day. It’s an especially fun place to visit during the Christmas and holiday season. 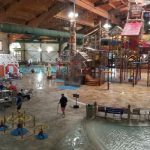 Great Wolf Lodge TC might not have a waterpark the size of Avalanche Bay or Kalahari, but the overall sum of its parts, the entertainment beyond the waterpark, make it every bit as fun – perhaps more so. If your little girl loves to be pampered like a princess, you can make a stop at Scooops kids spa for ice cream themed soaks, sherbet scrubs, a banana split throne, pedis and manis. 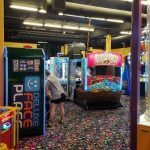 And, if you’re in the shopping mood, have a sweet tooth, or are looking for a bite to eat there are many gift shops, candy stores, cookie shops, restaurants, and even a Dunkin Donuts…all under the same roof at Great Wolf Lodge Traverse City. 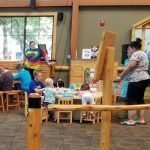 Finally, at the end of the day when you thought the kids couldn’t take anymore, the Great Wolf Lodge offers games like bingo and trivia, a jammie jamboree with fun props and a selfie station, story time for kids in jammies, and a dance party for the bigger kids. Once all the kids are exhausted, the parents can head back to the room to tuck them in and then enjoy a Wine Down – an expertly curated wine and culinary pairing to savor in the comfort of your suite, delivered right to your door.